Colin is responsible for service delivery, supporting Arkadiko’s clients in developing and implementing a long-term relational approach to their business. Colin is a thought leader and agent for positive change, who has been at the forefront of global developments in corporate leadership, stewardship and sustainability and responsible asset management for over twenty years. He has international experience from the investor and corporate perspectives in developing and challenging strategy, promoting effective risk management and corporate governance and creating well-aligned incentives. He is currently Advisory Board Member of InfluenceMap and Advisory Council Member at The Inclusive Capitalism Programme on Purposeful Ownership, Saïd Business School, University of Oxford. He is also an External Lecturer at Copenhagen Business School, a Fellow of the Institute of Directors and the Royal Society of Arts and a Business Mentor at the Prince’s Trust. Until November 2016 he was Global Head of Stewardship at Hermes Investment Management and between 2004 and January 2016 Chief Executive of Hermes EOS, the world’s largest stewardship service, which he founded. He was formerly Head of Responsible Investment at Baillie Gifford, a Board Member and Chair of the Principles for Responsible Investment, Chair of Social Stock Exchange, Chair of Future-Fit Foundation, a Member of the Corporate Advisory Group at The Future of the Corporation, British Academy and a Member of the 30% Club Investor Group. Between 2008 and 2013 he was a non-executive director and Chair of the Remuneration Committee at Aedas, an architectural firm. He has a strong network of contacts at the most senior levels within the world’s largest investment institutions and listed companies. He is an expert in building trust and adding value to boards in industries with stakeholder challenges having worked with many companies to improve their relationships and performance. He has a strong ability to steer complex and sensitive situations to positive action. Colin qualified as a fund manager in 1996 and is and member of the CFA Institute. 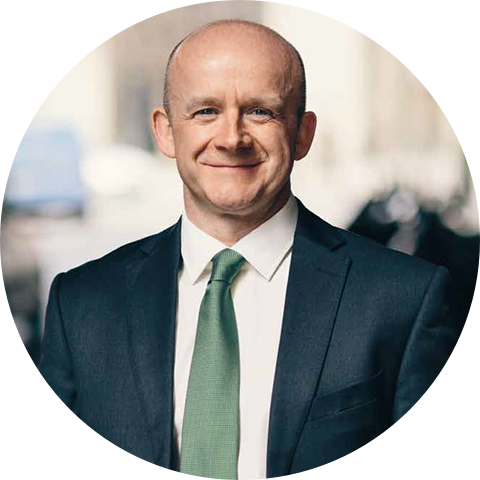 He holds an MA from Aberdeen University and an MPhil from Cambridge University, both in History, and Diplomas in Investment Analysis from Stirling University and Company Directorship from the Institute of Directors. THE INVESTMENT INDUSTRY IS CHANGING, BUT IS THAT CHANGE HAPPENING FAST ENOUGH AND IS IT GENUINE? Jennifer Walmsley, partner at consultancy Arkadiko Partners, explains that CSR is "often used as a catch-all term to encompass environmental as well as social initiatives”. Colin Melvin discusses the role of institutional investors in influencing company behaviour regarding the environment, human rights, and other issues of societal concern.